After a five-month winter break, World Cup qualification returns to Asia for the final two matchdays in Round 2. While Europe are still months away still from even kicking off their “Road to Russia” campaigns, March will be the last time we’ll see from some in this World Cup qualification cycle as Asia strips down the likely candidates for World Cup 2018 to the final 12. A quick reminder in terms of progression; the 8 group winners alongside the 4 best runners up will go through to Round 3 of World Cup qualification, thus guaranteeing themselves a place in 2019’s Asian Cup along the way. The rest, thankfully, won’t be left in a footballing wilderness, (as was the case previously) as they’ll contest for the final 12 (11 if UAE don’t qualify for WCQ Round 3) spots at Asian Cup 2019. These preliminaries needed to happen to ensure a shot at qualification for all, but in reality Round 3 in both schedules looks to be where the tighter encounters will take place, with, of course, the much greater prizes on offer. Predictability, the fixture schedulers have been rewarded for their efforts, the final matchday which pits the top two seeds in each group against one another, features the top performing teams in 5 out of the 8 groups, so the drama is promised for some at least to go down to the last day. With Kuwait’s suspension extended across these internationals, South Korea became the second side to ensure AC19 qualification having joined Qatar in Round 3 in January, the rest is theoretically up for grabs. With the final round of matches being spread over the whole of Tuesday, the true extent of who the lucky four runners up will be, will continue to be a case of ifs, buts and maybes, with Indonesia’s early exclusion and now Kuwait’s suspension throwing yet more spanners in the works when it comes to making any solid predictions. Martin Lowe will attempt however to explain the likely scenarios for the fight for top spot in each group and what matches we’ll be looking out for over the coming week, starting with Groups A-D. When it was drawn Group A always promised to be tight and so it’s been proven, with three teams still within a realistic shout of progressing through to WCR3. Top dogs Saudi Arabia have been highly impressive since Bert van Marwijk took over in August, but for their draw against Palestine in November they would already be through. Facing up at home to Malaysia should be a foregone conclusion, which would make a point against UAE on Tuesday enough for guaranteed progression. That being said, Saudi Arabia are rarely in the best of health off the pitch. Weeks ahead of meeting up, key players have either gone AWOL or been expelled for late arrival, which opens up the case for their Gulf rivals to sneak back into it. UAE have been one of the stage let downs so far, yes their dispatching of minnows Malaysia and East Timor has been ruthless, but they have failed to collect a single victory against either of their progression rivals Palestine or Saudi Arabia. Friendly victories earlier in the year, most notably against an all be it under strength Euros-qualified Iceland, offers them some hope of a shot at usurping Saudi Arabia. Two more negative results however could see Palestine jump ahead of them. All eyes will be on UAE who need to win both matches, and bridge the goal difference gap, if they are to leapfrog Saudi Arabia. If they don’t, they should have enough in the bag to go through as a best runners up, that is if they do collect three points at home to Palestine in the first place, a side who held the Emiratis to a stalemate in Al-Ram in September, and who have eyes on their very own outside progression chances. Group B comes across pretty cut and dry, and from the outset it’s based on the assumption the group’s top two have no problem getting passed the two lowliest sides in the section. Despite some turbulent times, Australia look pretty solid at the top with two matches to go but how it could have been different, which highlights the concern of compliancy in the run in. Before the last round of matches, Jordan were better placed after beating the Socceroos comfortably 2-0 in Amman, renewing the support of the team which had been so often in the mire over the last couple of years in the form of new coach Paul Put. For the all the elation of victory over the Asian champions, came the predictable crashing down to earth with defeat away in Kyrgyzstan. Dreams far from being in taters, but dented considerably, meaning the Gulf nation will have to collect all three points again against Australia, this time in Sydney, under boss-for-the-week Harry Redknapp no less who steps in for Jordan’s final two group ties. On the run up, compliancy is the cautionary word on every Australians lips, which may deter any potential upset on the final day. With that in mind, you would expect Australia to fly passed an improving, but still a class behind Tajikistan, alongside possibly another pummelling for Bangladesh who visit Jordan. This of course is what the scriptwriters want, a heavyweight dual on the final match day, but have Jordan missed their chance already? Likely to be the group deciding match to end the round. In all probabilities both sides will go through via the best second place route anyway, but Jordan’s draw and defeat to Kyrgyzstan earlier in the campaign won’t provide any certainties ahead of kick-off. Amidst the controversy which swirls around World Cup 2022, be it the hosting, the organisation or the squad building at U23 level, the current Qatar team ensured they were the first nation to make it through to the latter stages of qualification for the tournament an edition earlier. This leaves us with the chase for second, leaving no guarantees that the successor will make it through as a lucky loser. For China it’s been a miserable campaign, despite scoring 21 and conceding just the 1 across the group, they’ve failed in their big three tests so far, losing 1-0 away in Qatar, and drawing a blank twice in two 0-0 draws with rivals Hong Kong. For a country whose footballing profile has been widened somewhat over the winter break domestically, progression or at least an upturn in fortunes was the only option. French coach Alain Perrin, a year on from gaining solid reviews for his handling of the Asian Cup, was swiftly replaced by former coach Gao Hongbo who is tasked to clinch back-to-back victories to end the campaign on a high. All China’s struggles have come opposed to the delight of Hong Kong who have revelled in their role as troublemakers in rivals China’s progress. It could in fact turn out to be much more than a couple of memorable results, as a victory against Qatar in Doha could in the end keep their World Cup dreams alive, with a guaranteed spot at the Asian Cup also up for grabs. With Qatar having little to play for other than preparation for the next stage, the ball on Thursday is firmly with the Cantonese. Ironically, Qatar will be the centre of attention in Group C, despite already qualifying at the end of last year. Both their opponents will need to pick up full points to head the charge for a best runners up spot, China’s greater goal difference and extra game in hand over Hong Kong leaves their fate in their own hands. Much of the attention in Group D this week will be focussed on the Omani national team, as they go in knowing that they will likely need to win their remaining two matches to qualify in a best runners up spot. It could have all been so different for Oman, who went into their final tie of the year away in Turkmenistan, level with leaders Iran, possibly prematurely predicting a final day shootout between the top two. Defeat however has left them with plenty to do with under-fire French coach Paul Le Guen subsequently being shown the door replaced earlier this year by Spaniard Juan Ramon Lopez Caro. Iran ahead of Oman have themselves been a tad lacking throughout, but look big favourites to progress through assuming they beat bottom side India on Tuesday. Only a remarkable goal difference swing on the final day would then see Iran drop to second place. The task remains simple for Lopez Caro, in the fact Oman need 2 wins from 2, in practice of course a home tie against the perennial banana skin which is Guam followed by a trip to Iran days later is far from simple. Even then relying on other results to go there way elsewhere in Asia, leads many to think their World Cup campaign is nearing its end. 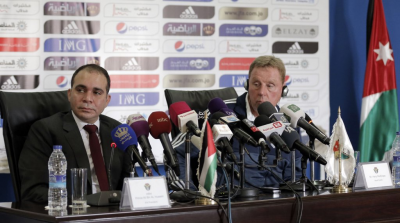 So Redknapp managed to get through his tenure without patronising ‘Johnny Foreigner’…Oh, Wait….